Considering a minimax problem to a two-person zero-sum dynamic game, we establish the total value function of game losses and gains in a stochastic game system. It could perform a minimax theorem. 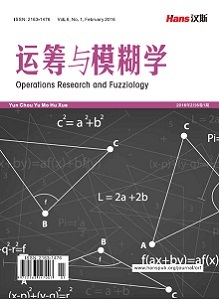 Moreover, we prove that minimax theorem is established by the stochastic space of their strategy spaces for the two-person zero-sum dynamic game under the law of motion. It is also established that the saddle value function exists under certain natural conditions so that the equilibrium point exists in this dynamic game system. A practical example could be employed to our framework in the context. Fan, Ky. (1952) Fixed-point and minimax theorems in locally convex topological linear spaces. Proceedings of the National Academy of Sci- ences of the United States of America, 38, 121-126. Kimura, Y., Sawasaki, Y. and Tanaka, K. (2000) A perturbation on two-person zero-sum games. Annals of the International Society of Dy- namic Games, 5, 279-288. Lai, H.C. and Liu, J.C. (2011) A new characterization on optimality and duality for nondifferentiable minimax fractional programming prob- lems. Journal of Nonlinear and Convex Analysis, 12, 69-80. Lai, H.C. and Yu, C.Y. (2012) Minimax theorem on a two-person zero-sum dynamic game. Journal of Nonlinear and Convex Analysis, 13, 709-720. Lai, H.C. and Yu, C.Y. (2013) Minimax theorem of the ratio of expectation for a two-person zero-sum dynamic game. Journal of Nonlinear and Convex Analysis, 14, 89-101. Lawrence, H. (1993) The winners and losers of the zero-sum game: The origins of trading profits price efficiency and market liquidity. Quantitative Research in Finance Spring, Seminar in Wesley Chapel, Florida. Tanaka, K. and Lai, H.C. (1982) A two-person zero-sum Markov game with a stopped set. 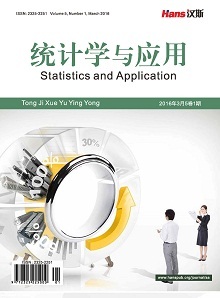 Journal of Mathematical Analysis and Applications, 86, 54-68. Lai, H.C. and Tanaka, K. (1982) Non-cooperative n-person game with a stopped set. 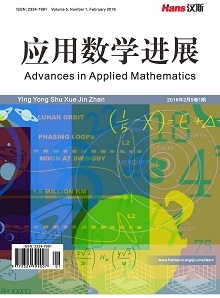 Journal of Mathematical Analysis and Applications, 85, 153-171. Lai, H.C. and Tanaka, K. (1984) A non-cooperative n-person semi-Markov game with a separable metric state space. Applied Mathematics & Optimization, 11, 23-42. Lai, H.C. and Tanaka, K. (1984) On an n-person non-cooperative Markov game with a metric state space. Journal of Mathematical Analysis and Applications, 101, 78-96.